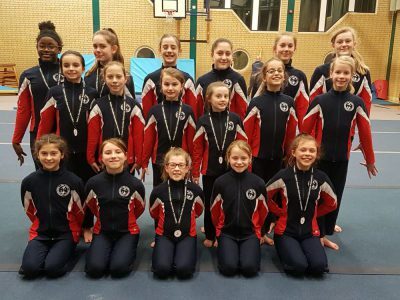 Partnerships from across our competition squads took part in the Regional Championships 2018 at Kingston gymnastics club in Milton Keynes. All our gymnasts performed to the best of their ability and were great representatives of Falcon against the rest of the clubs within our region. The competition proved close for all involved with Gold, Silver and Bronze medals being achieved throughout the day. In total Falcon collected 19 medals (Gold – 9, Silver – 5, Bronze – 5).